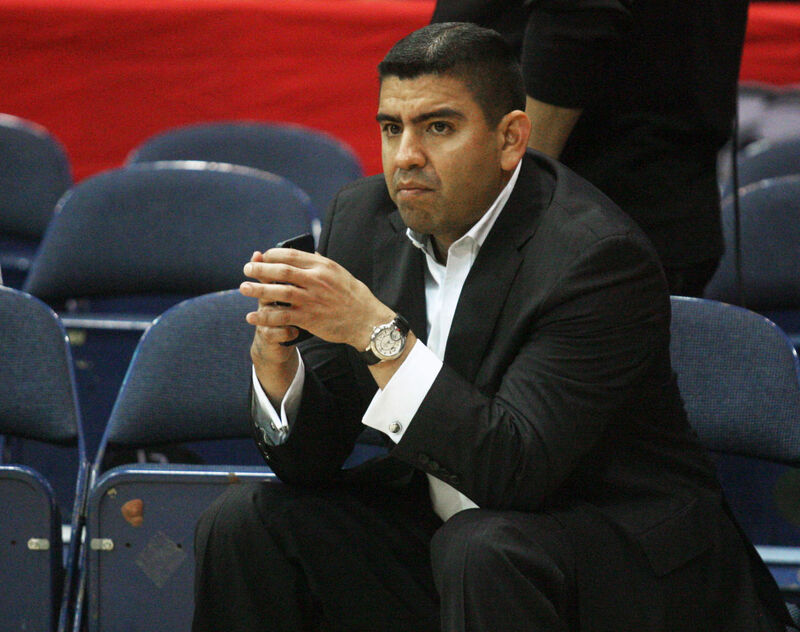 EDINBURG — Ending a journey that he began in 2007 as a volunteer for basketball operations, RGV Vipers and RGV FC Toros president Bert Garcia announced Friday that he is resigning from his position in the organization. A native of Edinburg and a graduate of the University of Texas-Pan American, Garcia had been with the Vipers since their inception and worked his way up from volunteer status, to sales manager, to assistant general manager of corporate sales, to vice president of operations before being promoted to team president in the summer of 2010. In the years since, he earned the 2011 NBA D-League executive of the year award, played a critical role in the formation of RGV FC, had a hand in the construction of H-E-B Park and Bert Ogden Arena and helped usher in a new Vipers’ practice facility with the Edinburg Sports and Wellness Center. Garcia said he is leaving to start a sports consulting business, adding that he plans to remain in the Valley with his daughters, Bree and Zoe, and his fiancé, Georgia. He said his proudest accomplishment was becoming the first Hispanic president in the NBA. Despite working with the league’s lowest operating budget, the Vipers became one of the association’s most profitable and winningest franchises. Garcia also helped the Toros develop their current hybrid affiliation with the Houston Dynamo, which was the first of its kind between the USL and MLS. More than 200 people gathered in the training room at H-E-B Park for Garcia’s announcement, including the Toros roster and staff and students from the IDEA Toros Academy. From a small table at the front of the room, Vipers and Toros CEO Rene Borrego took regular pauses to compose himself as he told the story of Garcia advancing through the organization’s ranks. Garcia spent the first eight months of his tenure as an unpaid volunteer responsible for mundane tasks like laundry. Few considered him a viable candidate when the role of president came open in 2010. Borrego said he fielded calls from the NBA, the Rockets and the Vipers ownership group questioning the decision, but Cantu saw something in Garcia that others did not. Borrego thought Garcia was two or three years from being ready for the position, but Cantu admired his energy. As president, Garcia was in charge of business matters for both the Vipers and Toros as part of hybrid affiliate relationships in which the Houston Rockets handle Vipers coaching and player personnel and the Houston Dynamo control the Toros soccer operations. Garcia also played a central role in developing the IDEA Toros Academy and the Jr. Vipers Academy for basketball and volleyball. Brandon Morales, who last week became the first player in Toros academy history to sign with RGV FC, stepped forward during Friday’s news conference to read a letter of gratitude to Garcia. Garcia said his desire to help develop a youth academy stemmed from the challenges he and his brother faced while trying to earn a spot to compete in college athletics. In addition to his work directly with the Vipers and Toros franchises, Garcia helped facilitate numerous outside events coming to H-E-B Park. The venue has hosted a plethora of Liga MX matches featuring America, Santos Laguna, Monterrey, Pachuca, Pumas UNAM, Puebla, Veracruz, UANL Tigres and Guadalajara, more commonly known as Chivas. H-E-B Park was also home to a CONCACAF Scotiabank Champions League match between Motagua and Tijuana as well as a National Women’s Soccer League match featuring the Houston Dash. In October, the stadium will host six matches as part of the 2018 CONCACAF Women’s Championship, which will produce at least three World Cup qualifiers. Garcia had been working to bring larger events to Edinburg, including conversations about potential friendlies involving the U.S. or Mexican national soccer teams or European Premier League squads. Borrego said he expects the Vipers and Toros ownership group to meet within a week to develop a plan for finding Garcia’s replacement. The NBA and USL are expected to help on what will be a nationwide search, Borrego added.